Has anyone every used or know any good child tracker devices to keep and eye on kids when out n about? A rope around their neck attached to your wrist will stop them wandering. Have a look at dementia websites as they also have devices that may help. Novel idea I know, but how about you actually keep an eye on the children you have like people have done for millennia, rather than pass the buck so you have someone or in this case something to blame for your bad decisions! I have also been looking at these things for my GF to use on out son when we are at the caravan. I am a relaxed dad and will let him go off and play with kids his age (as long as they not that far away and i know where he is) but my GF get so stressed out and i think this would make her feel a bit better. be able to see where he is, not wondered off and able to call him. 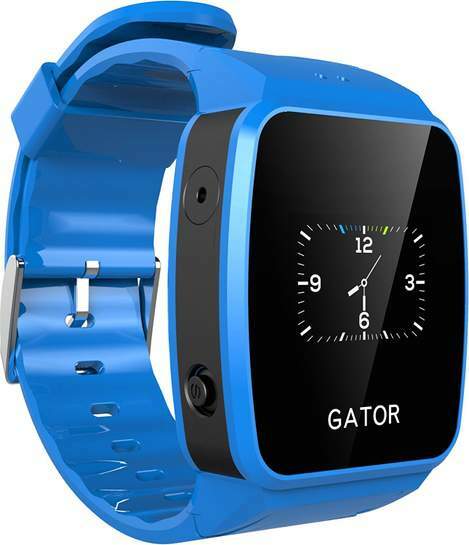 but some of them like the Techsixtyfour Gator GPS Kids Watch says it is a £9 a month to use it. some are open to SIM cards so can use a pay as you go. would also like one that is water proof.